One year ago, Kansas Policy Institute unveiled the initial groundbreaking A-F grading system for Kansas public schools and released the 2018 grade card last week. KPI undertook that effort to create a reporting system so that parents could more easily understand exactly how schools are performing. The Kansas Department of Education (KSDE), like all state education departments across the country, publishes a “Report Card” on its website, but it is difficult, if not impossible, to synthesize all that information to determine overall performance of individual schools. This is second year we’ve undertaken the project and, with each new year added, parents and other Kansans are better able to understand how schools are performing over time. A total of 133 schools improved from last year schools to receive recognition with the Swogger School Improvement Award. 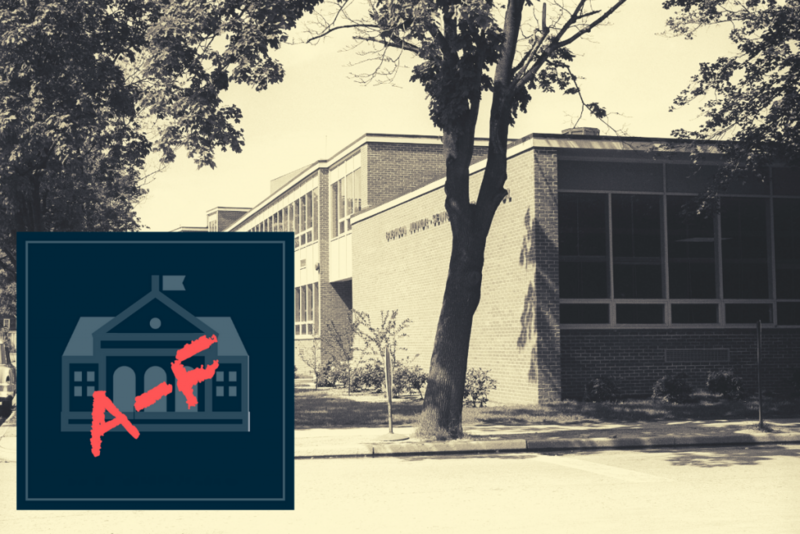 The overwhelming majority of the schools did not see their letter grade change. 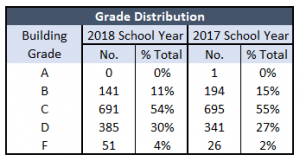 The summary of grade distributions for both 2017 and 2018 reveal that, overall, grades are lower for 2018. Not a single school earned an A in 2018 and the percentage of schools earning Ds and Fs increased. 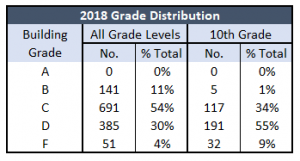 -> The following table shows that 10th graders did much worse overall on state assessments than those in lower grades (students in grades 3-8 and 10 take the state assessment). 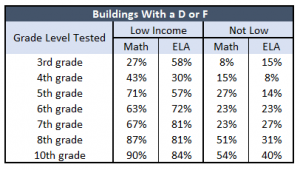 -> Among buildings that earned Ds and Fs, the overall trend is the higher the grade, the lower the performance, both for low-income and not-low-income students. The table also provides more evidence of income-based achievement gaps. -> Only five high schools earned an overall grade of B. Four of those are in relatively small districts – Central Plains, Palco, Winona, and Rock Creek. The only large high school that earned a B is Sumner Academy in Kansas City (USD 500). This project continues to provide an opportunity to the explore the “whys” of each of the grades. Why do low-income students in some schools do quite well while in most schools they struggle? What did those schools that improved do differently that other schools might emulate? We hope this effort will lead to “case studies” to evaluate how different schools face similar challenges. Once again, the school improvement recognition is awarded in conjunction with Dr. Glenn Swogger and his late wife Claire.